The Brut in Middle English. 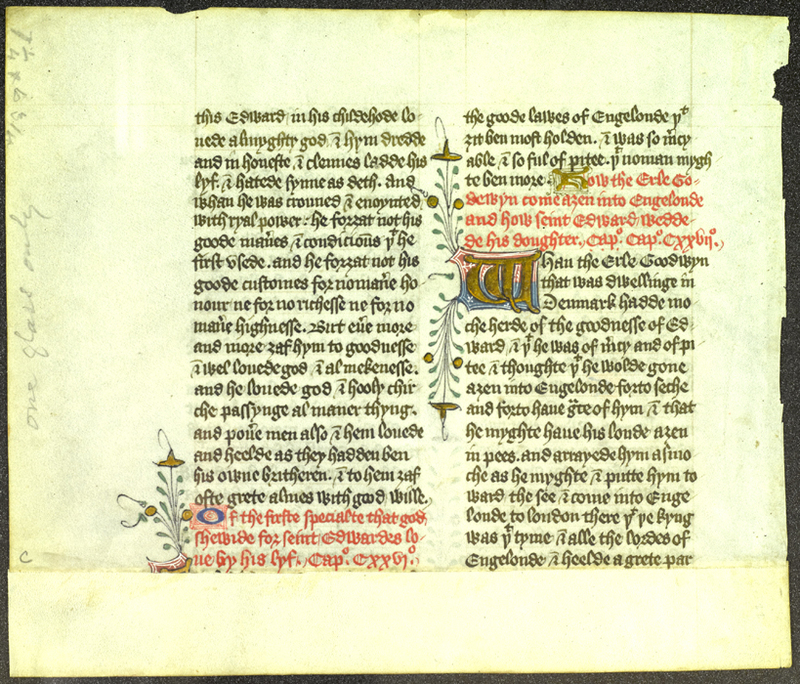 15th-century manuscript fragment on vellum, written in England. The Brut of England or The Chronicles of England was a late 14th- or early 15th-century translation from the French Brut d'Engleterre. It is a history of England from the time of Brutus, the great-grandson of Aeneas, who was understood to be the founder of England. There are extant some 121 other manuscripts of the work, and the whole has been published. Later English versions of the chronicle continue up to the year 1479, and some of these provide valuable contemporary accounts. This fragment was discovered in a picture frame in the course of preparing the 1970 catalog. When it was removed, it was discovered that it had been backed with newspaper clippings dating from the 1930s. The manuscript was probably cut up earlier so that the folios could be sold separately. 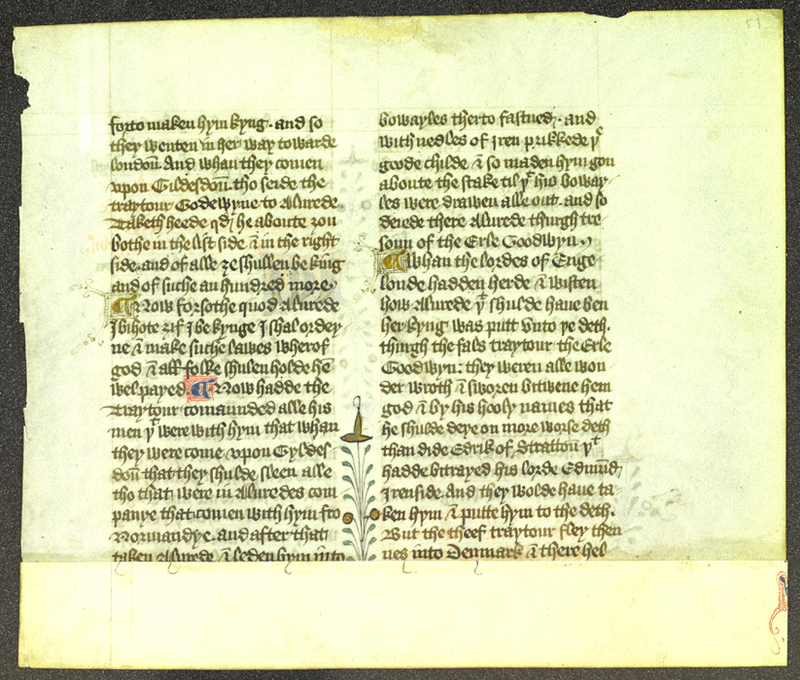 Lehigh holds three fragments, which are from the same double-column manuscript.